Wow, Jane, what a great card! I love that centre image of the Astrolabe, especially the way you've coloured it and kept its clarity by masking it before getting to work on your background. Great background, by the way! Love that blended background you've created with the Distress inks. Stamping the lightbulbs and adding the fingerprints to that is such a novel idea and works so well for this card. Much better than turning to some ready-made backgrounds. So clever to have removed some of the ink from the lightbulbs to add to the feeling of transparency. This is a totally awesome masculine card! Thanks so much for joining our Watercooler Wednesday Challenge this week. This Astrolabe is very unique. I love the way you've paired it with the fingerprints and lightbulbs. That trick of removing the ink with a brush to give the light bulbs more transparency is great. I'm congering up images of the Science Guy. Great background too! 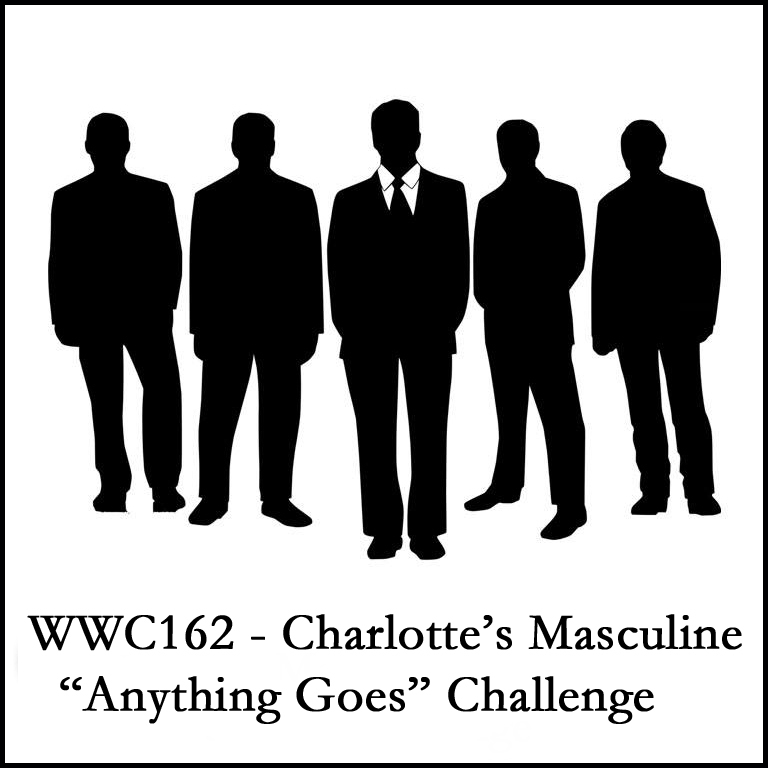 Thanks so much Jane for sharing this delightful imagery at the Masculine "Anything Goes" challenge this week at Watercooler Wednesday. So very very cool!! Such a great image!! Thanks for playing along with us at Watercooler Wednesday challenge!! Great card, Jane! 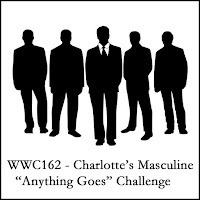 Thanks for joining us at the Watercooler Wednesday Challenge. Marsha DT. I love this image - works perfectly for the theme. Your card has a fab vintage feel. Thanks so much for playing along with our Space/Science theme at The Male Room. Deborah, DT - sorry to be so late commenting!! Love the lightbulb background, perfect card for our challenge theme. Thanks for playing along at The Male Room. Good Luck!